We Want to Make Free Toys! Being an engineer is a powerful concept – one that encourages us to embrace our ideas and bring them to life by finding creative and practical solutions to accomplish our goals. Engineers define goals and then they trust themselves to investigate, tinker, fail, and persist in finding ways to meet them. In a small slum community in Lahore, Pakistan, fourth-graders decided making free toys for themselves and their community was a goal they cared about. Many students from this class came from families that worked as rag-pickers (rag-pickers salvage reusable or recyclable materials thrown away by others to sell for income). The school in this community was run by a non-government organization that hoped to uplift the entire community through educating its children. 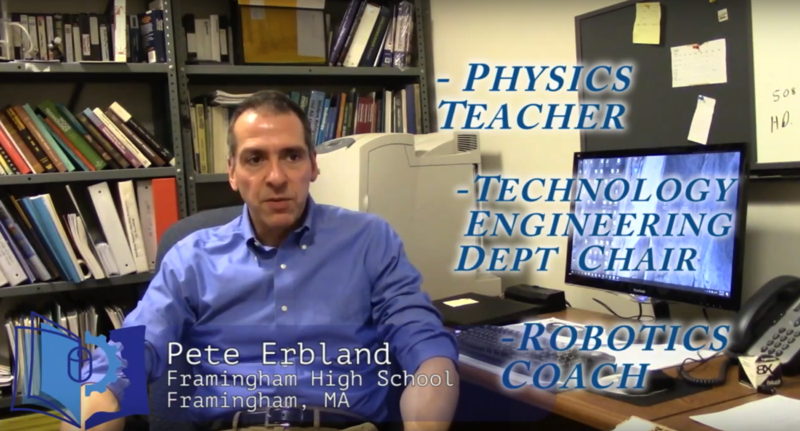 The STEAM (Science, Technology, Engineering, Art, and Math) Discovery Lab is one of Tufts Center for Engineering Education and Outreach’s (CEEO) newest research projects. 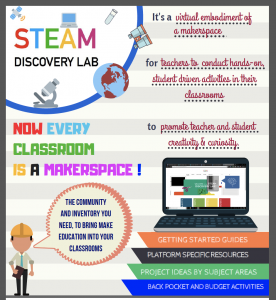 On the surface, the STEAM Discovery Lab is a website dedicated to providing teachers with new and exciting ideas and resources for conducting hands-on activities in their classroom. The website provides teachers with inspiring lesson plans and activity ideas that they can tweak to best meet the needs of their students and subject area needs. The site also features activity ideas that combine different technologies in unconventional ways. 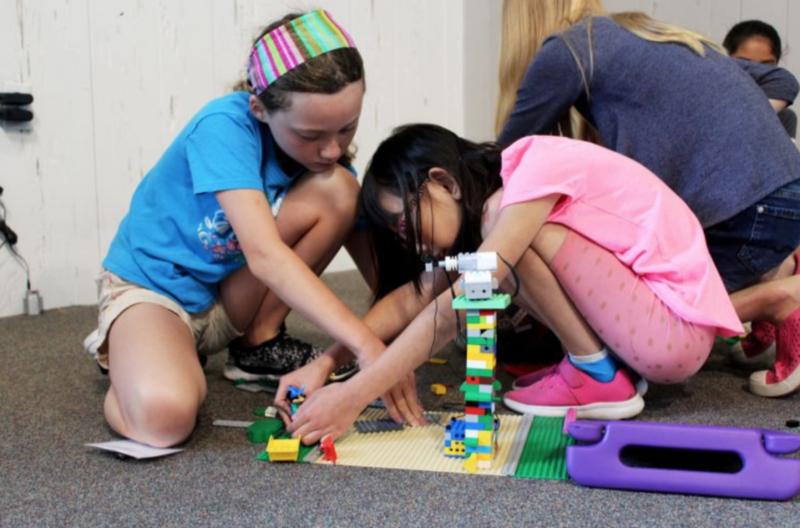 For example, STEAM Discovery Lab has a library of examples for how teachers can combine LEGO bricks with craft materials, softwares, and other technologies to create unique learning experiences for their students! 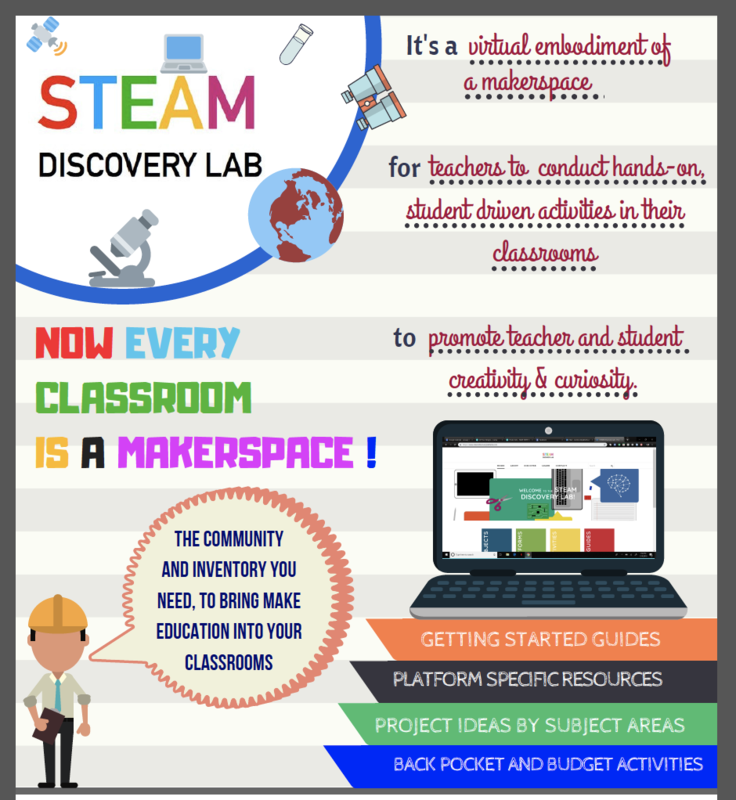 Check it out here: https://www.steamdiscoverylabbeta.com. The Center for Engineering Education and Outreach (CEEO) offers Design and Engineering Workshops (DEW) for students K-12. These workshops are single session after school and weekend workshops. We also offer week-long school break and summer workshops with a variety of different themes. 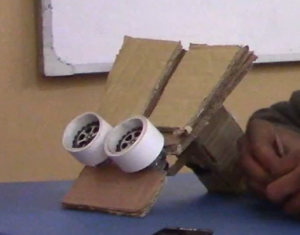 Our workshop programs are designed to give students the opportunity to learn about the engineering design process through a series of fun, hands-on building activities. 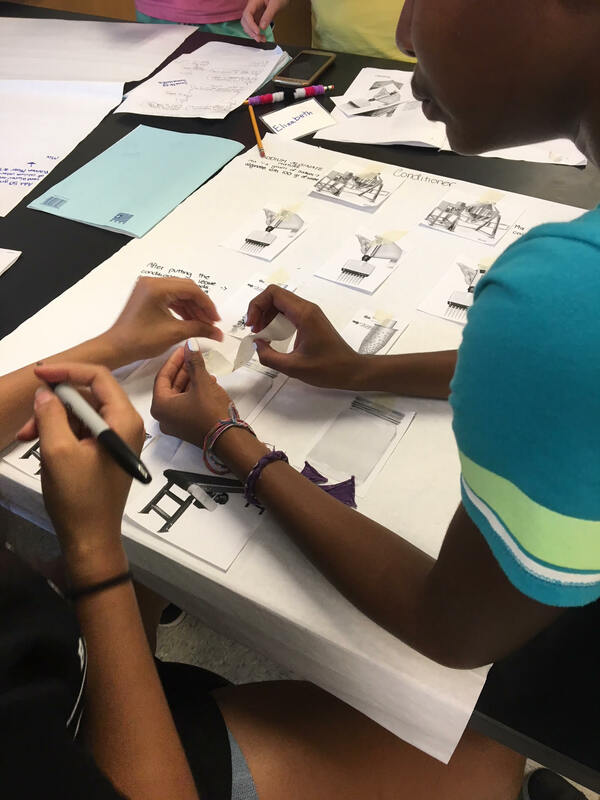 Each summer workshop theme engages students in creative problem solving, and client-centered design. 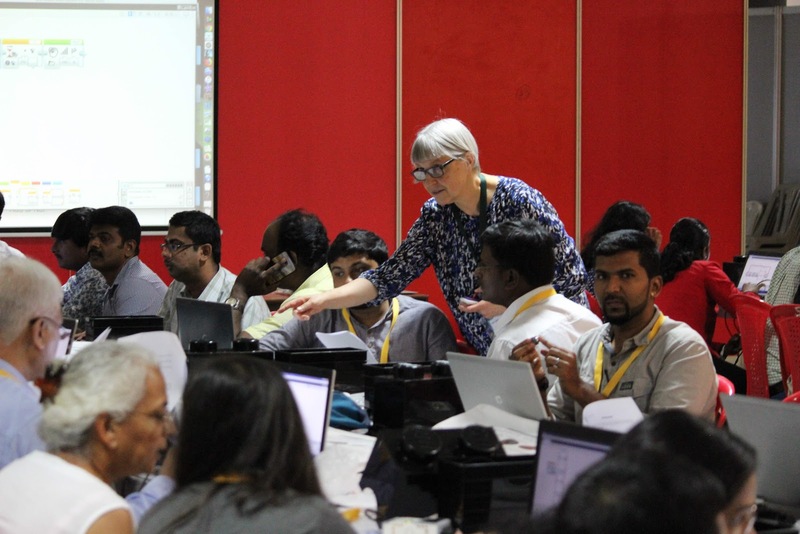 Barbara Bratzel, an Educator in Residence at the Tufts Center for Engineering Education and Outreach (CEEO), recently gave talks and ran workshops at two LEGO Engineering conferences in India. The two conferences, with the theme Driving Innovation in India through STEM Education, were the first LEGO Engineering conferences held in India. They were sponsored by LEGO Education and Edutech. The first conference was held at the Loyola-ICAM College of Engineering and Technology in Chennai on September 4, 2018. 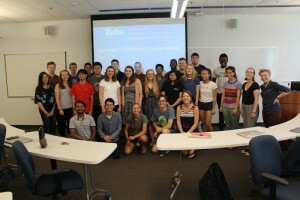 Every summer, Tufts Centering for Engineering Education and Outreach (CEEO) hires between 30 and 40 Undergraduate Student Interns to work on various research, outreach initiatives, or operations support projects at the CEEO. This past summer we had 37 undergraduate students from Tufts and from a few other Universities working at the CEEO on the projects listed below. The National Science Foundation awards grants to young faculty to launch their research. 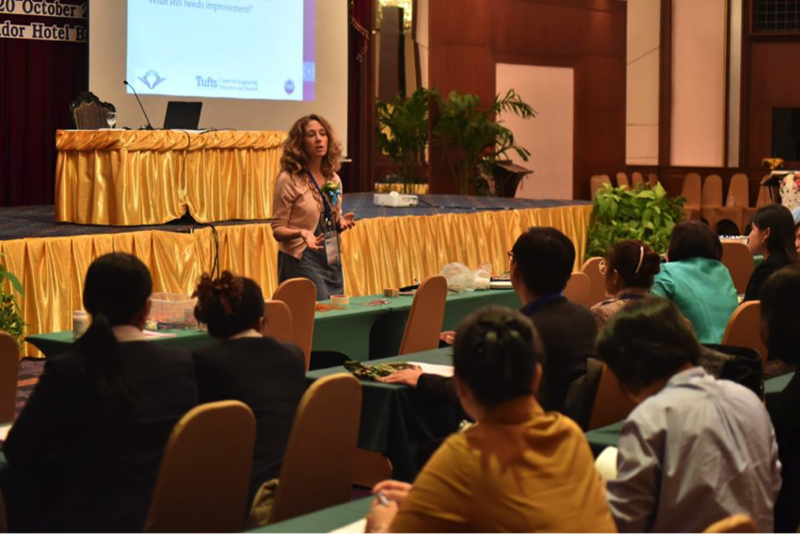 Entitled CAREER grants, these grants task faculty with not only working on cutting-edge research but also sharing their work with the broader community. In Summer 2018, Professor Ayse Asatekin, from the Tufts Department of Chemical Engineering, partnered with the Tufts Center for Engineering Education and Outreach (CEEO) to develop and host a workshop for middle school girls. The goal of the workshop was to introduce the girls and to get them excited about the possibilities of chemical engineering. Jennifer Cross, Ph.D., is a new Postdoctoral Research Associate at the Center for Engineering Education and Outreach (CEEO) where her primary research interests include investigating human-robot interaction in education contexts, developing novel programming interfaces for educational robots, and supporting diversity in engineering education. At the CEEO, she is teaching a course for the Teacher Engineering Education Program (TEEP) called Engineering and Science for Middle and High School Educators and working with Professor Chris Rogers on a number of research projects around robot programming. 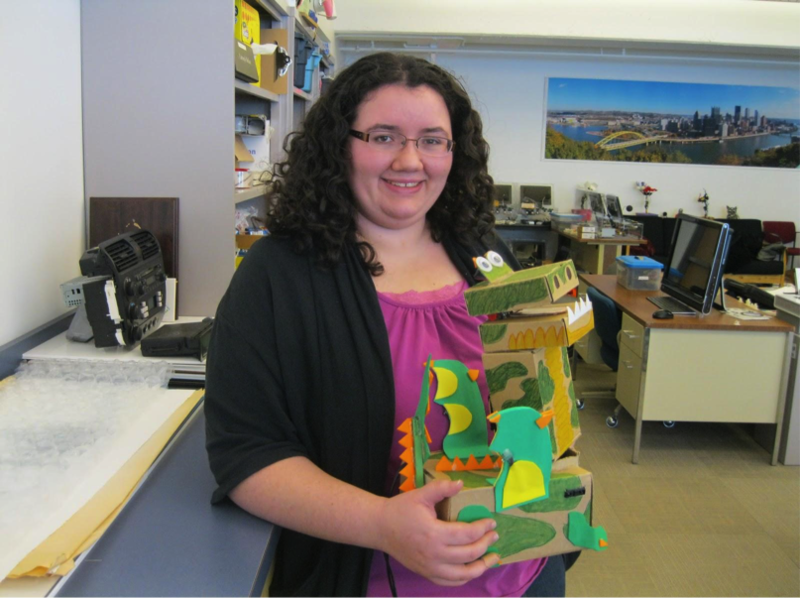 She is also helping to make improvements to the Human Factors Engineering program at Tufts.